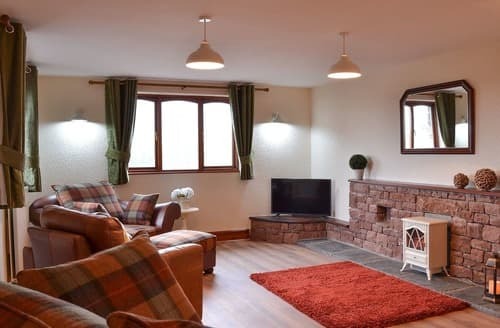 What our customers are saying about our Holiday Cottages In Greenodd To Rent. "Slightly disappointing experience and below usual Snaptrip standards. 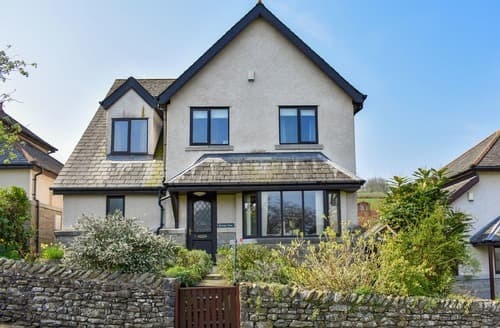 Pretty place and location, but the photos advertising the property are at best out of date and at worse misleading. (The saplings in the garden are now quite substantial fruit trees and so there's not much open lawn. I had to remove a dog poo from the garden, which was very disappointing as we were holidaying with a two year old. Trees are now also blocking a lot of the view from the back of the property. Back cushions are completely missing from the sofa by the front door!) Property was well cleaned, but huge hanging cobwebs in the bathroom and bedrooms. I requested a brush from the owner to do it myself but didn't appreciate his comment telling me that the reason behind their presence was due to "a rural situation". (I come from a family of farmers and we’ve always managed ok. The owner apologized several times afterwards however which was helpful to a point.) Top of bedroom wardrobe and top of utility cupboard covered in dust and dirt. The property really needs painting as walls are scuffed, the kitchen knives are quite blunt and utensils not great. All that said, it is a lovely building where you can relax and socialize very easily. 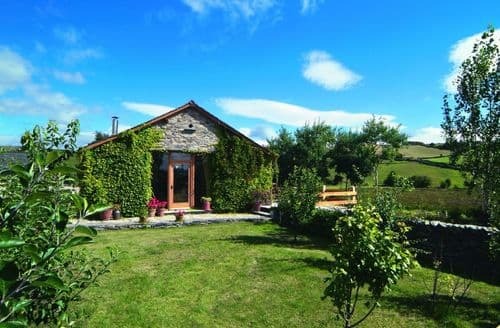 We feel that it should be priced lower as from our experience there are much nicer places available in that category." 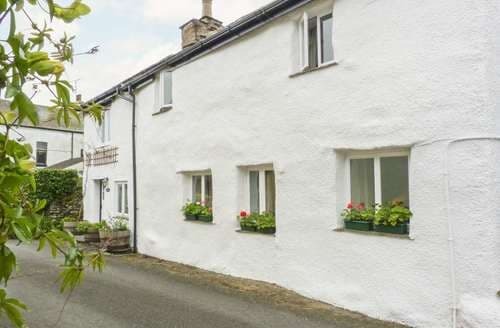 "This is a lovely cosy cottage in a great area close to the southern lakes and this is our second visit so I would recomend it. However there are some things you may need to know to make your visit more enjoyable. The cooking equipment is basic, if you are intending to cook proper food you may need to bring equipment. There is no corkscrew or bottle opener of any kind. The garden is not enclosed and this is not made clear until you arrive but you are informed that the farmer next door will shoot your dog if they wander on to his land. This caused us some stress and really tainted our visit even though our dog is very well behaved. It is tricky getting onto the the drive. We have a tiny car but we found it easier to get in when approaching from the B9581 bur exiting through the village. They do not allow dogs in to most pubs in Ulverston but the old Friends pub in Ulverston is a great pub and very dog friendly. We really enjoy our time at this cottage and its fantastic value for money"
"The cleanliness of the bedding leaves a lot to be desired. On arriving at the cottage the beds looked as though they hadn't been changed although they were dishevelled they appeared clean. So this was not likely to happen to the next occupant we stripped the beds as we left only to find that the mattress cover had a large stain on it. 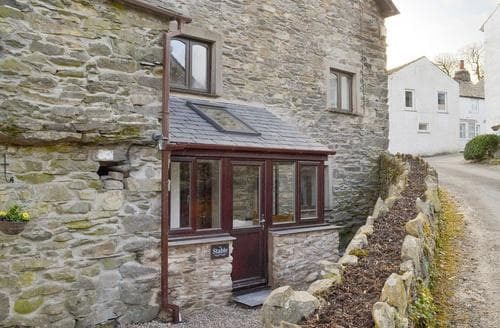 We didn't think this should ever happen particularly in a five star cottage! On looking round the area we found this cottage as advertised as being for sale since May of this year . 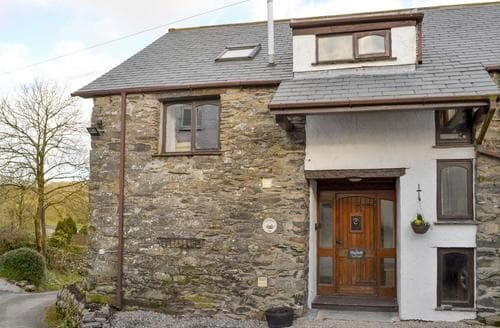 We noted via your website that this property is still advertised as being available for rent next year 2019 and wonder how you could guarantee bookings in these circumstances as the property could be sold at any time." "From start to finish the booking was easy I was kept well informed ,the cottage was everything and more than we expected ,it was Amazing ,our host Steve and Sarah were so helpful,informative ,and friendly even allowing us to view his farm ,they left us a gift when we arrived which was very welcolm,the cottage was decked out with Xmas decks it looked like a wonderland and my two year old granddaughter thought it was magical . The beds were so comfortable I haven't slept so well for years,it was with heavy hearts that we left ,but we all said WE WILL BE BACK, Thankyou Sykes ,Sarah ,Steve, and Jack. 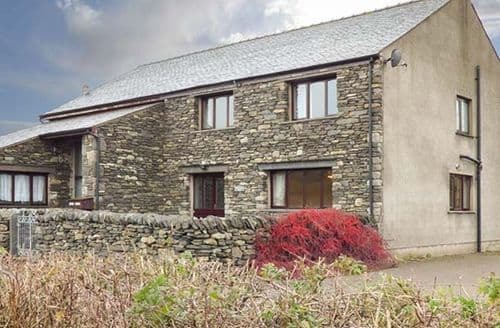 The Barber family"
"Fabulous barn conversion in a great location. Very rural but wonderful for our mini moon with our almost 2 year old. All in one level so great for little ones running around, very clean and beautifully done. A really light and airy space which felt huge when inside. Shiela couldn’t have been more helpful checking out timetables of a couple of activities we were interested in. 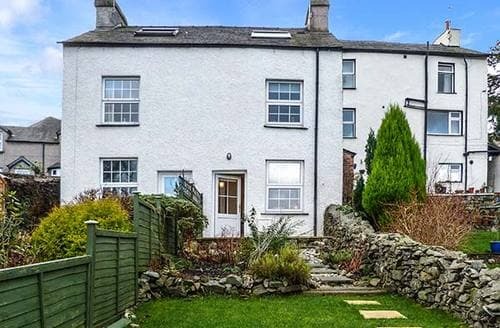 Just a few minutes drive from Ulverston and 15 mins to Lakeside to get the boat to Windermere. Coniston Water 30 Nin drive and Bardsea Beach around 15 mins. We had a fabulous time at S41603, great location for that part of the Laks District."